Home > Walmart > Colgate Mouthwash: Only 67¢ at Walmart! 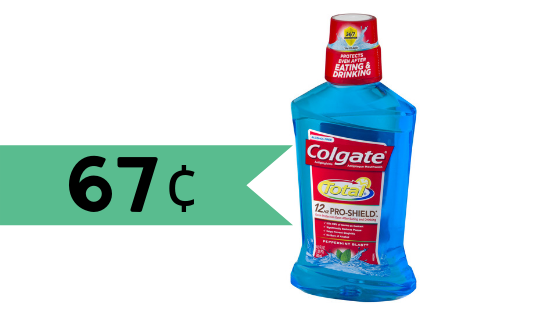 Colgate Mouthwash: Only 67¢ at Walmart! Get Colgate mouthwash for cheap at Walmart! Stack an insert and Ibotta offer to get Colgate Total mouthwash for only 67¢. Hurry in because the insert coupon expires Saturday!